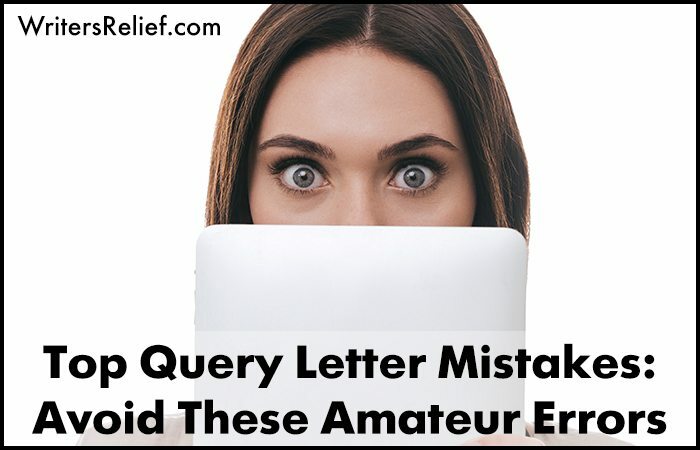 Here are the most common mistakes we at Writer’s Relief see in the query letters that are sent to our Review Board. Don’t make these amateur errors when you’re submitting your work! Some of these may surprise you. Appearance. The letter is poorly formatted (all caps, colored and silly fonts, goofy pictures in the signature line) or loses its formatting once it’s emailed. TIP: Do yourself a favor and test your e-query to make sure it keeps its formatting by sending it to a bunch of your family members and friends to see what it looks like in their inboxes. Then you can send it to agents. The multiple personality bio. Often writers will inadvertently begin their bios in first person, but wind up in third. Be on the lookout for pronouns gone wild! Also, some bios will begin in present tense, but then end in past. And, as always, it helps to have a strong bio! Read more about bios: Building Publication Credits and No Publishing Credits? Get Publishing Credentials: How To Build Up Your Writing Bio Super Fast. Listing publishing credits that aren’t really publishing credits. Be careful that the publishing credentials you’re listing are not part of poetry contest scams or anthology scams. Including bad credits suggests you don’t know the market (and therefore don’t know good writing). Copyright. Industry standard is to not include the copyright symbol on your work. (For more information on copyright, read: Urban Legend: The Poor Man’s Copyright). I’ve been writing since I was five. Writers who feel compelled to explain that “I’ve been writing since I was X years old” or that “It is my greatest wish to get published” inadvertently declare to agents, “I am a newbie.” It’s presumed that you’ve been writing since you were X years old and now want to get a book published. That’s what every writer wants. This would make a great movie. Almost everyone thinks his or her book could be a great movie. You want your query letter to ask your agent to do one thing and one thing only: represent and sell your BOOK—not a screenplay, not a series of action figures, not your foreign rights. Let the agent in question decide if your book is screenworthy or not. Writer’s Relief works closely with clients to prepare powerful query letters and target them to the best-suited agents. And through effective research and pinpoint targeting, we can help build your bio and get your submissions to the literary agents and editors who will be most likely to enjoy your work! Like N Oglethorpe I do dislike those agents who sneer about query letters. But it seems we aspiring writers can’t afford to ignore the agents’rules. A brilliant post. Many thanks. Happy to say I went direct to a publisher and look forward to the release of my first novel next year. Jcc, great question! If you have more than ten or so publications, it’s probably best to cut out a few and only pick the best ones. How you list them doesn’t matter too much; you can list them in alphabetical order, or “best ones” first—just be sure to have some assort of order. 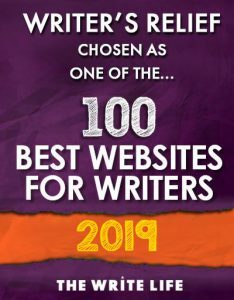 You generally don’t want to include “links,” but you should put the name of the website (examplelitmag.com) and say that your work/writing was published in or through them. You can include a link to your own website/blog, but make sure it is relevant. If you write articles, but only have a casual blog, you may not want editors to feel like they’ve been lured into your site. Either way, put the link to your site at the bottom of your letter, under your signature. How should publication credits be listed? How many or what type should be listed. I have not been published in any magazines or anywhere except on blogs or websites. Should I mention these articles or posts on websites (other than those on my own page) and should I include links to my own websites or blogs? ThomJ, We’re not freelancers here; our clients are creative writers as opposed to journalists. So while we can’t claim expertise, it would seem that querying the editor would be the first step since you’re pitching to a very specific magazine. I’ve written a book review for a magazine and would like to interview the author for an appropriate local alternative weekly. Who would I approach first, the paper’s editor, or the author (for whom I do have an email address)? Dear Damian, Just like literary agencies, each publishing house will have its own guidelines. Every publisher is different, so read the individual guidelines. And good luck to you as well! yeah, i agree with pearly. if i send it directly to the publisher and not through the agent, where do i write my proposal? in the body or as an attachment? Dear Perly, Every literary agent will have his or her own guidelines that you’ll need to follow. Read all guidelines and follow them as needed. Good luck! how exactly do you send in the proposal letter and sample chapters via e-mail? do you write in into the body or attach it? please help me here. i’m publishing for the first time. Rosa, You should always be honest with literary agents. To work with a literary agent, you’ll need to sign a contract, and since you’re not eighteen, you’ll need a parent or guardian for that. Would it be a mistake to say how old you are? I mean, would it be a mistake if you’re only 13 years old? Would that be the thing that turns a literary agent away… or closes the deal? Wouldn’t it be better if there were a universal "query form" where writers could simply fill in the blanks? This would place writers on an equal playing field to be rightfully judged on the content of their work, and not their ability to please individual agents. It’s sad, in an unsettling way, to read agents’ snarky Twitter comments regarding queries they’ve received (often made to young, beginning writers), and frightening in a different regard to realize that the reading public benefits only from the choices recommended by this biased group whose recommendations are based on initial query fodder. The joy in writing is fading as writers are no longer allowed to just write, but must also excel in research, editing, querying, promoting, bookkeeping, electronic media, publicity, etc. 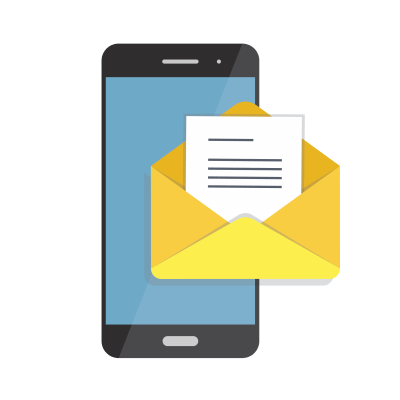 I think you’ve covered some useful points in this article about query letters and I appreciate the access to it. Keep up the good work.